As we mentioned in our guide for beginners, there are more than 60 buildings that you can construct in Blaze of Battle and each one is used for a different job. It can be quite confusing to have so many options: Which buildings should you focus on and which ones should you upgrade? By making the right decisions, you can grow your kingdom much faster. We have prepared this guide to help you: Below, you can find everything you need to know about the buildings in Blaze of Battle. Blaze of Battle buildings can be divided into four basic categories: civic, economic, special, and “dragon”. There is at least one type of building under each category. The civic category is the biggest one: it contains a total of 36 different buildings. You can see a complete list of these by clicking on the “hammer” icon on the main interface. Dragon: The only building in this category is the “Keep”. 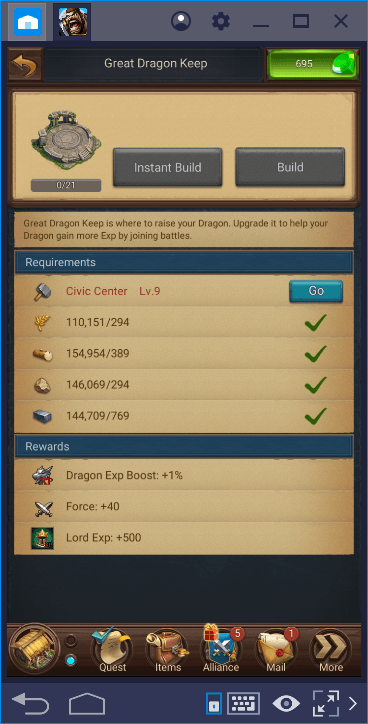 Once you have a level 9 civic center, you can construct the Dragon Keep. Special: Buildings in this category are useful for the end-game phase. 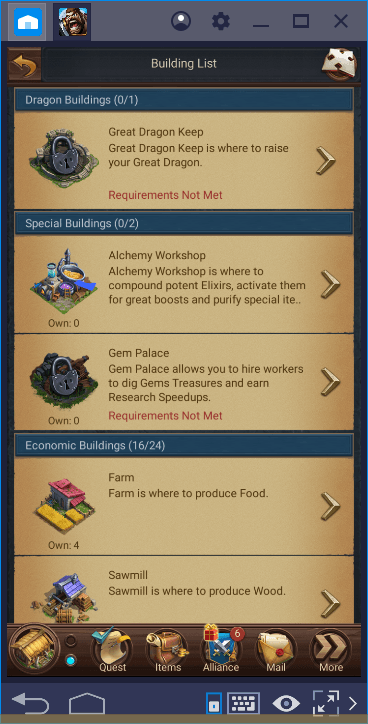 Alchemy Workshop and Gem Palace fall into the special category. You use the first one for producing elixirs. The second one is used to mine gems. Economic: The buildings that you will use to produce and exchange resources are included in this category. The most important of these are the mines. You can find more information about economic buildings later in this guide. Civic: The buildings that will be used for military purposes fall into this category. We will talk about them in detail in a bit. Construction of each building costs a certain amount of resources. Blaze of Battle is quite generous in this regard and you won’t feel the lack of resources until reaching the end-game phase. Each building can be upgraded to level 21. Upgrading a building increases the number of jobs/things that can be done in that building. For example, if you upgrade a farm, you start to produce more food. The construction and upgrade process allows you to get combat power and lord XP every time. For more information on Combat power, see our guide on battle mechanics. 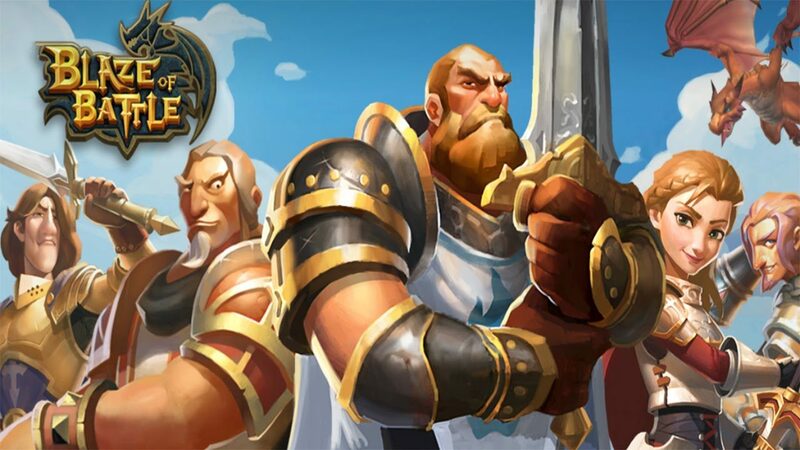 Lord XP allows you to raise your player level and earn skill points. For more information on Lord skills, we recommend that you take a look at our Blaze of Battle Research guide. First, let’s take a look at the features of the most common economic buildings. Note that the table below shows the data for level 21 buildings. Iron will be the resource you need most. In the mid-game and end-game phases, almost every construction and upgrade process require an increasing amount of iron. Make sure you always have at least 10 mines in your city and upgrade them as much as possible. Food is very easy to obtain and the need for it gradually decreases as you make progress in the game. It is enough to have 5 farms in total, but make sure to upgrade them all. 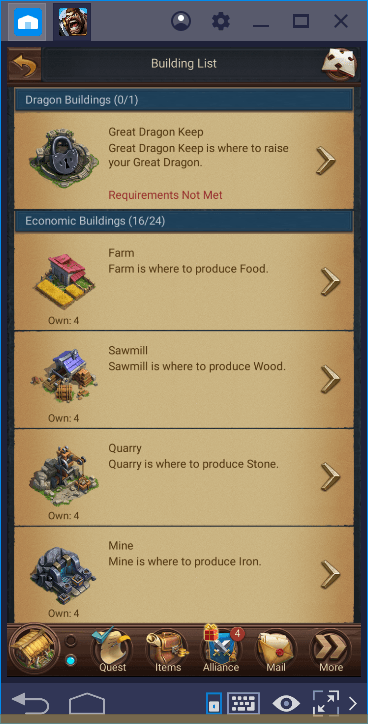 You should have 5 to 10 quarries and sawmills in total. You have to decide according to your style of play: If you want to gain military advantage, we recommend that you build 10 of them. If city management is more important to you, you can keep this number lower. Remember that these are just suggestions. For example, a casual player who is not interested in end-game activities can still enjoy the game with fewer economic buildings. However, if you are playing at a competitive level, you may need to increase these numbers even further – you need to decide according to your needs and game style. 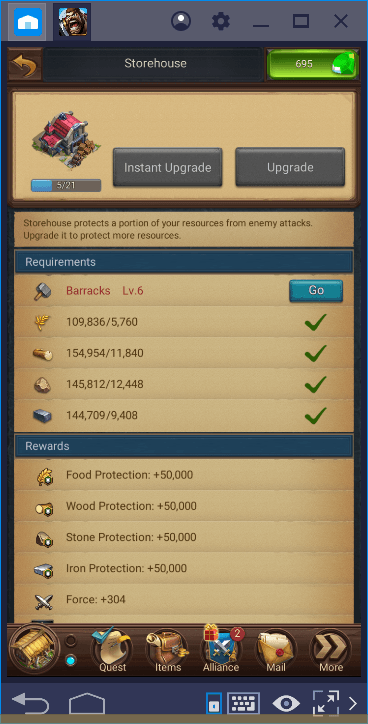 In any case, remember to build at least two Storehouses: The resources you store in this building will be protected from enemy attacks. So even if you lose the battle, you can start again. Let’s start by looking at the features of civic buildings. Your goal is to create a big army – we recommend building an army of more than a million troops for end-game activities, so construct at least 3 of each civic buildings and upgrade all of them. There are two exceptions though: Ground troops will always be needed the most, so we recommend building 4 barracks. 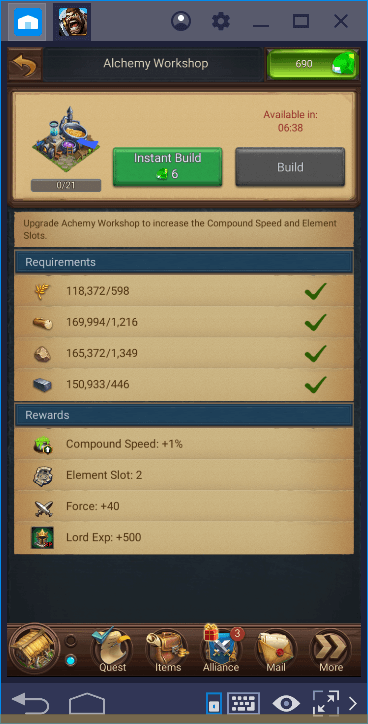 The number of siege workshops can be limited to 2. 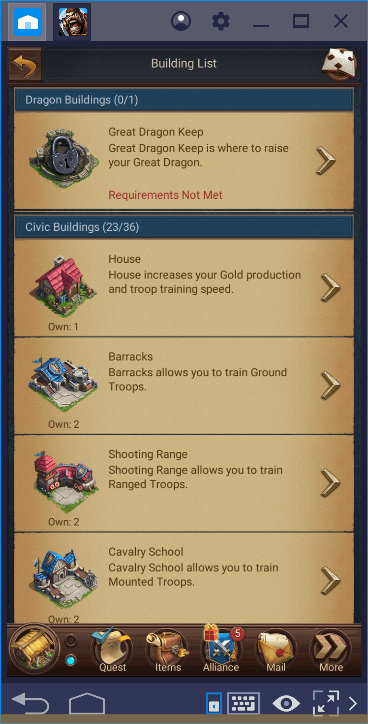 Upgrading the civic buildings is more important than constructing lots of them because, with each upgrade, you get more advanced troops. 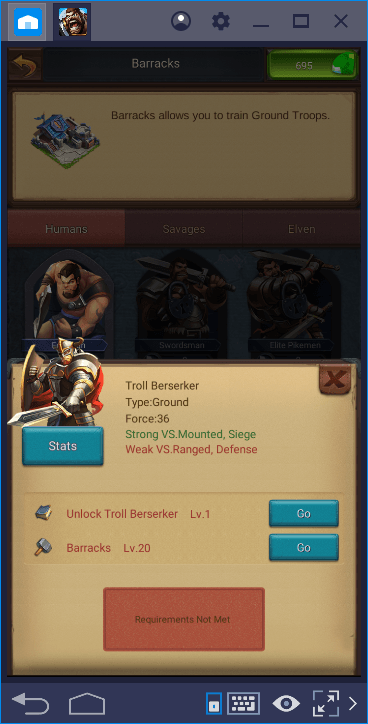 For example, to be able to train Troll Berserkers, you need level 20 barracks. Therefore, instead of constructing a large number of civic buildings, we recommend that you focus on upgrading the ones you have built. 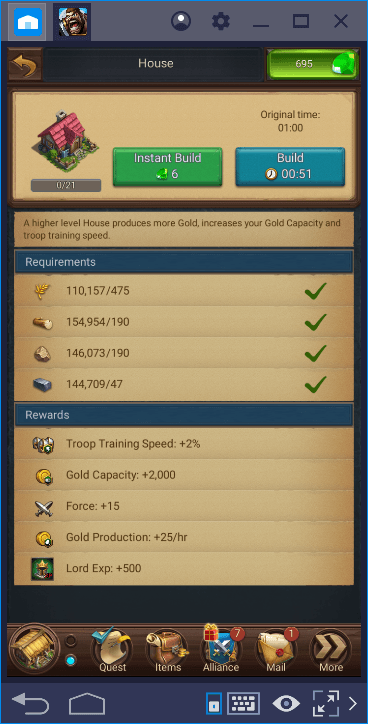 Finally, don’t forget to build “houses” that are often neglected: These are used for gold production, and you don’t need to use gold until the end-game phase, so most players forget about their existence after a while. However, every house built increases the speed of troop training by 2%. 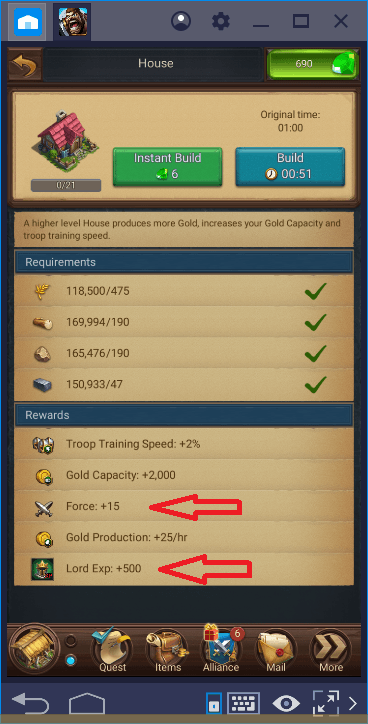 So if you build 10 houses, you can train troops 20% faster than other players. Blaze of Battle also has some buildings that do not belong to the four basic categories listed above: Mage Tower, for example, is used for research. By constructing the market, you can exchange resources with other alliance members. However, we will refer to these extra buildings in different guides: check out our “Research” and “Tips Tricks” guides respectively. Good luck my lord!